In the newest versions of Microsoft Excel it is possible to produce 2- and 3-D maps of geographical data. In this blog post, I look at creating a 2-D map; in a future one, I will discuss 3-D maps. 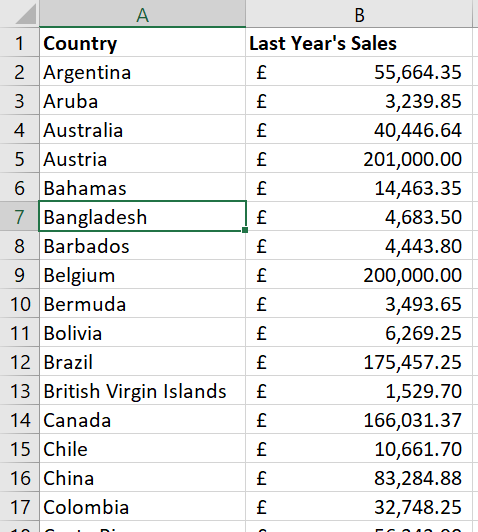 In this instance, I have Last Year’s Sales figures by Country. Select the data set with the regional category on the left and the data to be plotted as the second field; if the columns are not next to each other, hold down the Ctrl key to select the relevant data. Go to the Insert tab and in the Charts group, click on the Charts drop-down and click Filled Map. A map will be displayed. Contextual tabs, Chart Tools Design and Chart Tools Format will also be displayed. 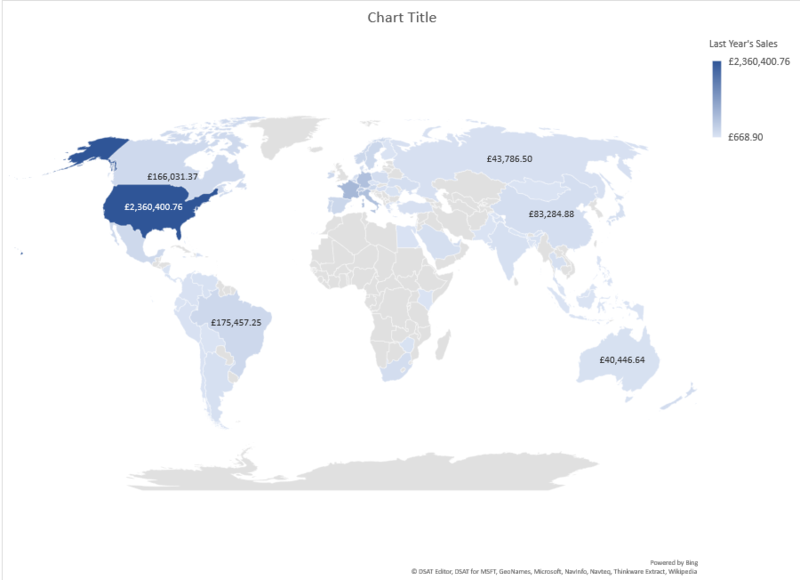 You may want to put the map on a sheet by itself, in which case from the Chart Tools Design tab, click Move Chart and move it to a suitable location. To add labels to the map, indicating the data, click the + sign to the right of the map, select Data Labels. Suitable labels will be added. You could also add a suitable title to the map. Find out more about our Microsoft Excel training in the London, Surrey, Middlesex areas. Find out more about our Microsoft Excel training in the Dorset, Wiltshire, Hampshire areas. 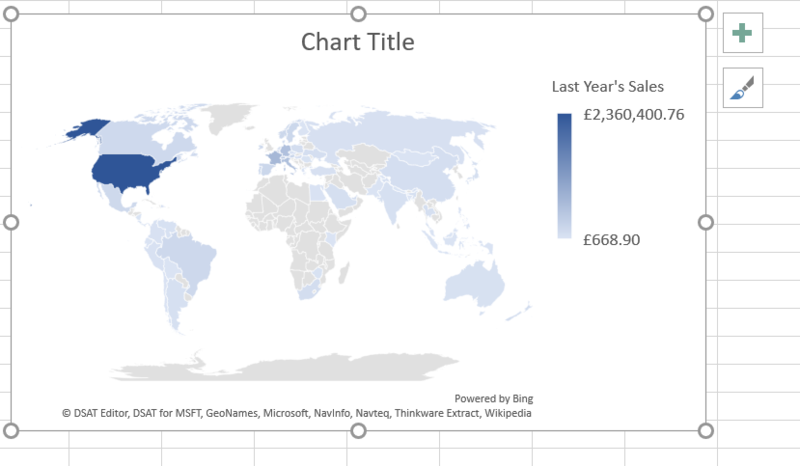 This entry was posted in Microsoft Excel, Microsoft Excel 2016 and tagged 2-D map, Microsoft Excel. Bookmark the permalink.